Interested in becoming an ambassador for The Rookie Tri? Do you like to help and inform triathletes of all levels? Do you love triathlon and sweet race swag? As a Rookie Tri ambassador, you’ll help spread the triathlon love and inspire new people to try triathlon for the first time. You’ll be a reflection of the event on and off the course. No matter if you’re a daily swimmer, biker, runner, a first time or veteran triathlete – we want you on board! Enthusiasm about Triathlon. Of course, the most important part of being an ambassador is that you’re enthusiastic about the event. 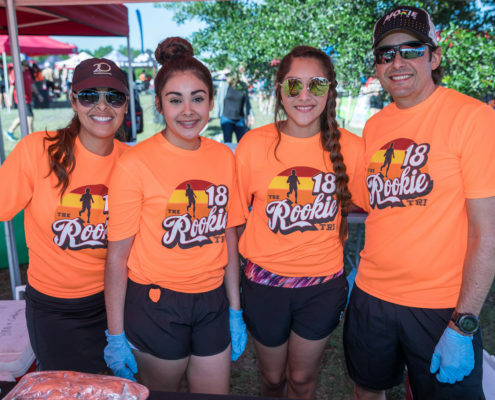 If you love to swim, bike and run and love the community that The Rookie Tri brings together, then this will be a good fit for you. Good communication skills. Whether you’re online or offline being able to communicate with potential participants is key. We’ll provide you with the info so you’ll have a good understanding of the event in order to communicate it with future triathletes. Connections in the community. Having connections in the community is important but these connections can be gained while working as an ambassador. That means going to running clubs, running & bike stores, gyms – basically anywhere where you can promote The Rookie Tri. This can be done both online and in person. 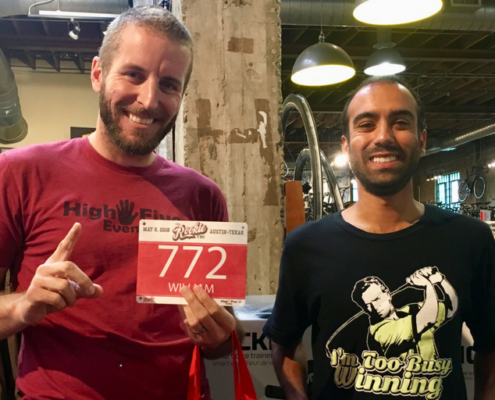 Local Ambassadors represent The Rookie Tri l in a specific geographic region. Social Media Ambassadors represent The Rookie Tri online. There is no requirement to be present on race day, but you must have attended at least one Rookie Tri in order to be considered for the program.